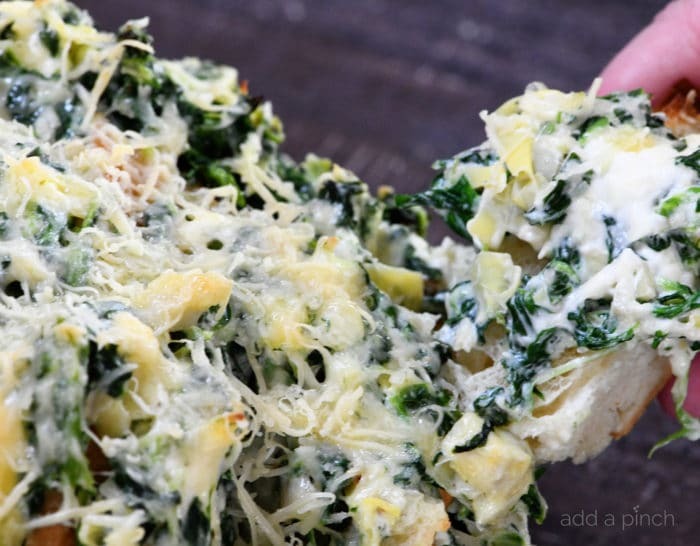 Spinach Artichoke Pull Apart Bread Recipe – Everyone’s favorite spinach artichoke served in a whole new way in this fun and easy pull apart bread! Oh my stars, does my family love spinach artichoke anything and everything! 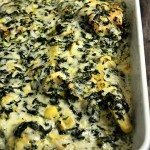 From our favorite spinach artichoke dip to spinach artichoke chicken, it all gets a thumbs up at my house! But friends, this spinach artichoke pull apart bread has to be one of my favorite ways to serve it lately! It is so much fun! To make my spinach artichoke pull apart bread recipe, I start by slicing a round of French bread into pieces that will be easy to pull apart. I begin with my serrated bread knife and cut slices about 1 1/2 – 2 inch apart in one direction. I don’t slice all the way through the bread, but leave about 1/2 inch at the bottom of the bread to hold the bread together. I then repeat by cutting slices in the opposite direction. You can see exactly how I slice in the video below. Once I have the bread cut to easily be able to be pulled apart, I drizzle the interior of the bread bowl with a little olive oil. I then mix up my spinach artichoke mixture and spoon into the bread, making sure to stuff it down into the cavities created by the cuts made into the bread. 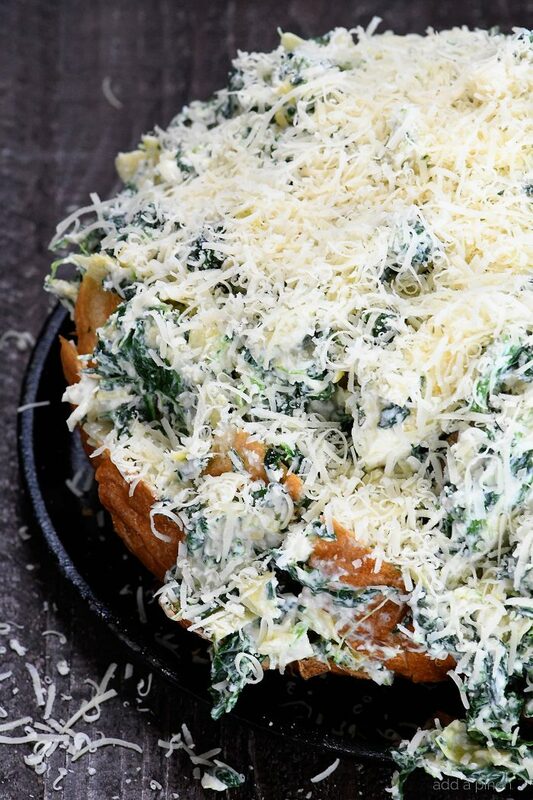 Then, I top the spinach artichoke pull apart bread with grated cheeses and place it into the oven to bake until warm, gooey, and the cheeses have melted and lightly browned. Finally, the only thing to do is to dig in! This pull apart bread recipe is so easy to make and fun to eat, but I also love to plan ahead on this one if I know I’m going to be busy with other dishes for a get together. 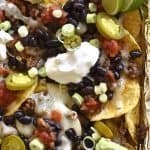 So, I love to prep it ahead for even easier entertaining! 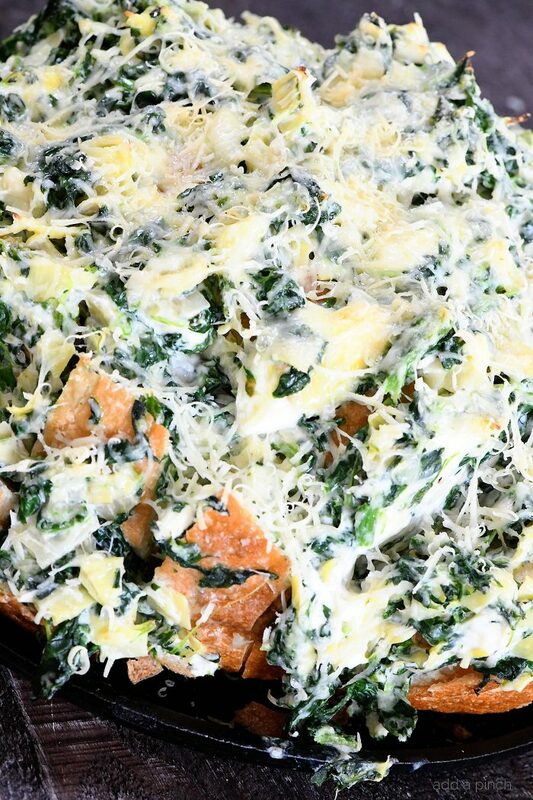 Just prepare your spinach artichoke pull apart bread as instructed all the way to topping the bread with your grated cheeses. Then, wrap tightly on the baking/ serving dish and store in the refrigerator for up to 3 days. When ready to serve, remove from the refrigerator as your oven preheats, unwrap and bake as directed. You may need to add a few more minutes to the baking time. 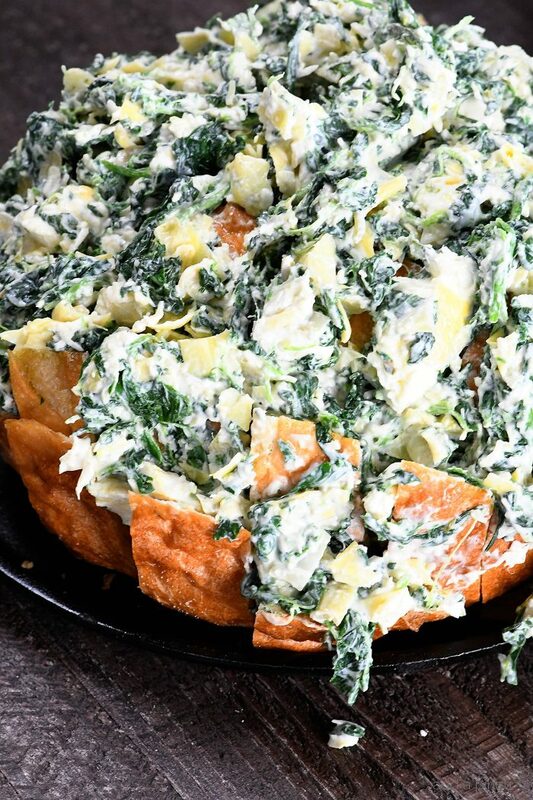 Here’s my Spinach Artichoke Pull Apart Bread Recipe. I hope you love it as much as we do! 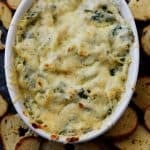 Spinach Artichoke Pull Apart Bread Recipe - Everyone's favorite spinach artichoke served in a whole new way in this fun and easy pull apart bread! Slice round French bread loaf into slices about 1 1/2 - 2 inches apart in one direction, leaving about 1/2-inch remaining at the bottom of the bread to hold the bread together. Repeat in the opposite direction. Arrange the cut bread onto an oven-safe serving plate or platter. Drizzle the interior of the cut bread with olive oil. 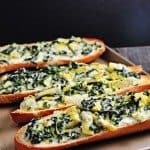 Mix together all of the ingredients for the spinach artichoke filling and spoon into the cut French bread, making sure to fill deep into the cavities of the cut French bread. Bake until the spinach artichoke bread has heated thoroughly and the cheese has melted and lightly browned, about 15 minutes. Remove from the oven and serve warm. 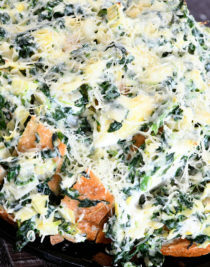 Prepare the Spinach Artichoke Pull Apart Bread Recipe as written through topping the bread with cheese (but do not bake). Wrap the bread well and store in the refrigerator for up to 3 days. Bake on an oven-proof serving plate or platter until heated throughout and the cheese has melted and lightly browned. You may need to add a few minutes to the baking time. Yummmm! Love this for a game day. Pinned! 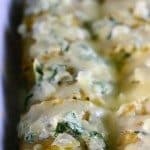 I have a question about the Spinach Artichoke Pull Apart Bread Recipe. It calls for a jar of artichoke hearts- is that marinated artichoke hearts, or not? The recipe sounds wonderful! This looks amazing, I will be trying this! I have been following your blog for a while and I absolutely love it! 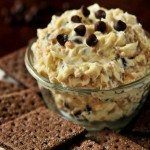 You have done such a great job with designing your blog and adding tons of yummy recipes. You are such an inspiration to newer bloggers like me. I will be picking up your cookbook soon! Thanks! You’re so sweet, Stacey! Thank you so much!